There is nothing like a good fish story, especially when you hear it the second time and remember how big the fish was the first time you heard it. There is a fish story in the Bible that happens to be true! And I believe it has some application to those of us today as well. You will see what I mean in a minute. I am sure that most of us have had the misfortune of working with someone who had a bad attitude. They hate what they are doing and make sure everyone else regrets being there as well. It is a mystery of the universe how such folks ever accomplish anything at all in life. But, as with all things, what is impossible with man is possible with God. So Jonah heads to the sea port of Joppa and gets passage clear to the other side of the Mediterranean at Tarshish, which was around Gibraltar. Well, to make a long story short, the people of Nineveh end up being preached at by the worst possible candidate for a preacher. He is racist and hates them, he doesn’t want to be there, he doesn’t want them to accept his message, and he makes the message as short and blunt as he can. Sounds like a recipe for a failure. But God uses the message to turn the hearts if the people and they repent. The city is spared, and Jonah does not get to watch them being judged with fire from heaven. Jesus, when talking to the Pharisees, alludes to the people of Nineveh. The hardness of their hearts caused them to reject the message from the perfect messenger, the One who is the very Word of God. They will stand condemned by those who repented at the preaching of the most flawed of prophets. But what does that have to do with us today? There has never been more access to the Bible in our language as there is today. Free resources abound with access to multiple translations of the text. In addition, study helps are easier than ever to obtain that can aid us in understanding what we are reading. We have access to audio, video and printed teaching (paper and electronic) that our forefathers could not even dream about. But can we truly say we know our Bibles as well as those of a generation ago? Many of them grew up in homes with one family Bible and didn’t get their own copy until they were grown. But they studied it and committed it to memory. We, on the other hand, are so distracted by what the world flashes in front of us that we have little time for plumbing the depths of the Word of God. Those who struggled to obtain the Scriptures in the past, along with those in countries where the Bible is forbidden and must be read in secret, will rise to condemn those of us in countries where most Christians have multiple Bibles and study helps galore, yet do not take full advantage of such. We would be foolish to assume that our access to the Word will always be unfettered. When I was headed over for Desert Storm, we stopped in the Philippines. I spoke to some missionaries there who spoke of soldiers who would memorize sections of the Bible, just in case they were ever captured. What would happen to us if the Bible was suddenly classified as “hate speech” and banned? What if we were imprisoned for our faith? Would we know enough Bible to live on spiritually? May the ease with which we can become familiar with the Bible never become a cause for contempt, or a reason to take His Word for granted. He is saying, correctly, that our salvation does not come from our performance, or from working our way to God. No one can will ever be able to say that God owes them salvation. But also notice what Paul goes on to say in verse 10. We were created in Christ when we are born again, for the uprise of good works. Do you see the order here? The works don’t cause faith and salvation; the faith and salvation produce the works! Furthermore, God has it planned that way. God always connects a truth to believe with a command to obey. While “faith” and “obedience” can be defined as separate terms, they are inseparable as realities. To put it succinctly, real faith, works! That being said, faith has to come first. We can have works without having faith (i.e. dead works), but we cannot have faith without works. Build your faith and the works will follow. It is a trap to suppose that we can reverse the polarity of our spiritual power by putting works as a higher priority than cultivating intimacy with God and strengthening our faith. God likes altars. All through the Old Testament, altars are frequently mentioned as being something God commands for His people to build when there has been a spiritual victory. These altars serve as constant reminders, sometimes long after the original builders has passed on, of what God has done for His people. Noah, Abraham, Moses, Joshua, Samuel, and David all built altars as reminders of what God had done. But does at carry over in any way to the New Covenant? Are we supposed to go outside and pile up some rocks and burn animals in sacrifice? No, in spite of what my barbecue may look like, burnt offerings are not for today. But I believe there is an “Altar Principle” in place that we would do well to remember. We already practice the Altar Principle when couples marry. The wedding rings serve as visual reminders of a spiritual covenant that was entered into, and in that way function as a kind of altar. The brides ring may even include a rock! I’m not sure of the precise accuracy of these numbers but they are at least directionally correct. It has been said that students remember 25% of what they hear, 50% of what they hear and see, and 75% of what they hear, see, and participate in. This is especially true when repetition is added into the equation. I that way, the Lords Supper, or Communion Feast, exemplifies that principle. On a weekly basis we hear about what Jesus did, see the elements that represent the body and blood of Christ, and eat and drink together, the salvation message is reinforced in the hearts of believers. That is how the altar principle works. When a married couple is being counseled, they can be told to look at their rings and remember the promises they once made to each other and to God. They serve as a point of reference for them and help them to focus on what is important. One huge danger sign is when either partner removes their wedding ring in public, so as not to be noticed. They are attempting to hide the sign of their covenant from sight so they will not be reminded that they are bound to another. Baptism also has a altar principle attached to it. 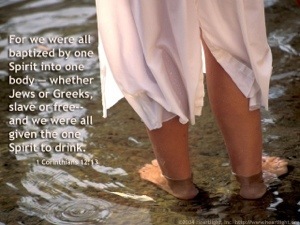 Paul would refer to the fact that believers had been baptized and remind them of what that meant. Paul is saying that when Christians are tempted to willfully sin, that baptism serves as a reminder that they have a new life in Christ and have been freed from sin, so with that in mind, how can we walk anymore in it? For that reason, we need to think back and remember our baptism and what it symbolized. We need to remember that we, too, have died, been buried, and risen with Christ. I would recommend to anyone that they think back often of their conversion experience, and specifically their baptism. Use it as an altar, or a reference point in your life that you can point back to and remember what great things The Lord has done for you when He saved you from darkness and translated you into the Kingdom of the Son of His love. In basic terms, our paradigm is the framework our minds use to interpret what we see and how we think about a subject. All religious organizations, including churches have a shared paradigm among their members. In fact, many Christian churches began as a group of people who held to a common paradigm that differed from the groups they were formerly members of. When Martin Luther introduced the concepts of sola fide and sola scriptura (faith alone for salvation and scripture alone for authority) it was such a huge paradigm shift that it birthed the Reformation! One paradigm that became prominent in the early 19th Century during the Restoration Movement was the view that we should “speak where the Bible speaks and be silent where the Bible is silent.” That is a very worthy and useful paradigm to have. What it eventually grew into was a view that we should view as divine commandments the things that the New Testament commands (good so far). But it also grew to say that all New Testament examples were reflective of the only way something was to be done (getting legalistic here) and that the silence of the New Testament was no longer a place for silence, but of commands given by omission (hazardous). No longer were we to be silent about things not mentioned, as if examples would be found for every single thing the believers were to do, but whole books would be written about things being sinful if not Divinely authorized. This was a misunderstanding of what it meant to “do all things in the name of The Lord” in Colossians 3:17. By superimposing the word “authority” for “name” the argument is made that only those things specifically authorized may be done. The problem with this is that there is a Greek word for authority, and it is not the word Paul was inspired to use in this verse! To change it to authority is to alter the scriptures, and you don’t want to go there! What is meant by “in the name” in this verse is explained by the verse itself (ah, context). In its proper context, the verse is saying that when we do good and righteous works, we are to give thanks and praise to God the Father through Jesus Christ. That is what is meant by doing it “in His name”! The “authorized” interpretation is not in context, but is a pretext. Such a view presupposes that God replaced a fully detailed code of law with another fully detailed code of law. Such is not the case. (Inaccurate paradigm) The New Covenant was one that has overarching principles in it, and that would be written upon our hearts. (2 Corinthians 3:3) The principle here is that the way we live out the New Covenant individually and corporately is that all doctrine is derived from Scripture, and is practiced in love in any way we can do so without violating those doctrines, as the culture and situation warrant. The concept of binding, exclusive examples also unwittingly makes us followers of the First Century Christians instead of followers of Christ. Never does the New Testament say that everything the Apostles and the First Century Church did was recorded for us. They were, in all likelihood, practicing the Apostle’s doctrine in ways appropriate to their time and situation that we will never know about. In fact, according to John, we don’t know every single thing that Jesus did! 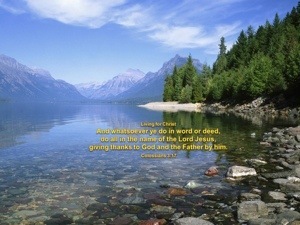 (John 21:25) But we DO know that whatever He did was never in violation to what He had taught! We are living a double standard when we call sinners to come to the freedom we have in Christ and then subject them to a lifetime of combing through the New Testament to make sure every single thing they do is specifically authorized by a New Testament prooftext. Jesus didn’t come down and die so that He could subject us again to a new legal code and turn us into lawyers. On the contrary, our walk should be one that sets us free to follow ever more intimately that One who is the Truth, Jesus Christ. So let us follow the Spirit of the law, instead of placing a restriction that God has not placed upon us. 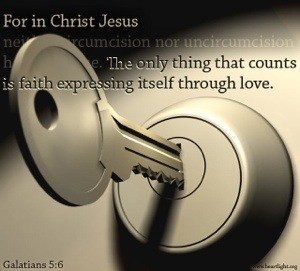 Practice our faith in love, and in whatever way is necessary that does not violate the doctrines of Christ and the apostles he taught, giving thanks to God the Father through Him! Murder is a terrible thing. That is especially true when it involves family members. When a murder happens, there is instinctively a desire for justice and punishment. There is a felt need for justice to be done and for retribution to be handed out. Such was the case when e first murder occurred in Genesis as Cain killed his brother Abel. Because of his crime, the blood of Abel cried out from the ground and brought down upon Cain a curse for his crime. Abel’s blood, when it was shed, cried out to God for judgment, justice, and condemnation. 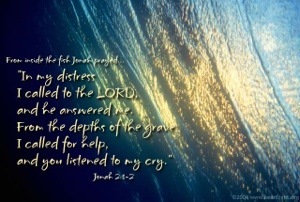 The blood of Jesus also cries out, but speaks of better things. The blood of Jesus cried out “atonement, grace, forgiveness, and salvation!” The blood of Abel was like the sacrifices of the Law which only had the power to condemn. 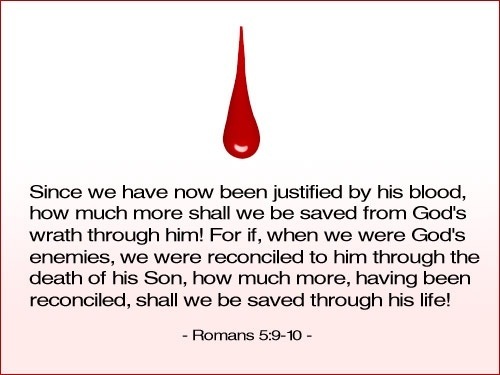 But the blood of Jesus is the blood of the New Covenant that brings forgiveness instead of guilt, grace instead of law, and salvation instead of condemnation! In context, the Hebrew writer was making reference to an event that happened on Mount Sinai when Moses came down the mountain and found that the people were reveling in their sinful passions. On that day at Mount Sinai 3,000 people were killed as God judged them for their sins. Later, when the church was born at the feast of Pentecost, this time on Jerusalem (Mount Zion), the Holy Spirit descended, the Gospel was preached, and 3,000 people were saved. That is the difference now that the blood of Christ has been shed. Instead of instant judgment by the Law, those who received the Word and were baptized that day were forgiven and given eternal life! All of this was and is made possible by the blood of Christ that “speaks better things” for those who believe and obey the Gospel! So come by the blood. Come to Christ and appropriate for yourself that cleansing power and have the blood cry out “forgiven, justified, and set free” over you today! Have peace with God because of the blood that was shed for your salvation.